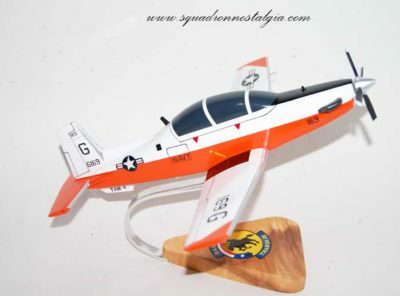 Fly with the VAQ-132 Scorpions in this 18 inch wooden model. 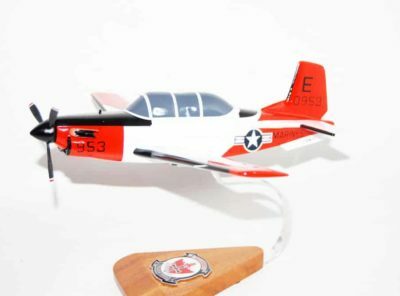 Each model is carefully carved and painted to provide a unique piece that you’ll treasure. 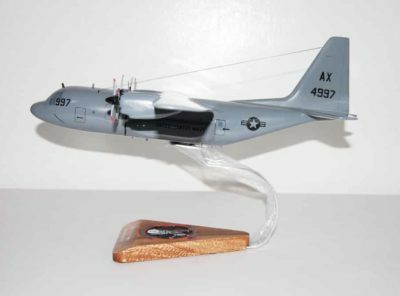 Tactical Electronic Warfare Squadron ONE THREE TWO was originally designated Patrol Squadron TWENTY NINE (VP-29) flying the P-2V “Neptune” at Naval Air Station North Island, California. 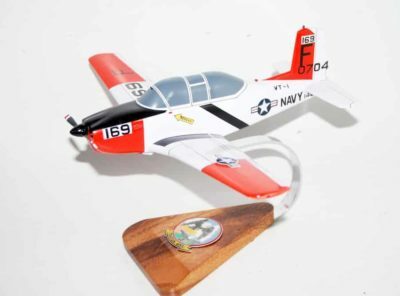 In April 1957, the squadron was redesignated Heavy Attack Squadron TWO (VAH-2) and transitioned to the A-3D “Skywarrior.” The squadron’s homeport was changed in April 1958 to Naval Air Station Whidbey Island, Washington. 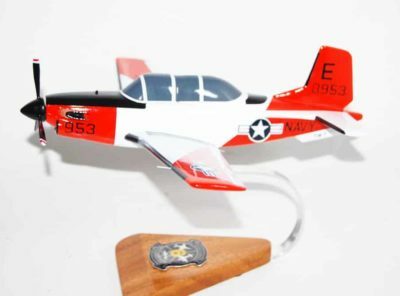 In November 1968, VAH-2 was redesignated Tactical Electronic Warfare Squadron ONE THREE TWO (VAQ-132), transitioning to the EKA-3B at NAS Whidbey Island. In January 1971 VAQ-132 became the first operational squadron to transition to the new EA-6B “Prowler.” As the first Prowler squadron in Vietnam, VAQ-132 flew combat support flights from six different carriers on YANKEE STATION in the Gulf of Tonkin. On January 17, 1991, after Iraq invaded Kuwait, VAQ-132 was once again the first Prowler squadron to fight, this time in Operation DESERT STORM. In February 1994, the Scorpions were once more first on the scene when shots were fired in support of NATO’s Operation DENY FLIGHT over Bosnia-Herzegovina. 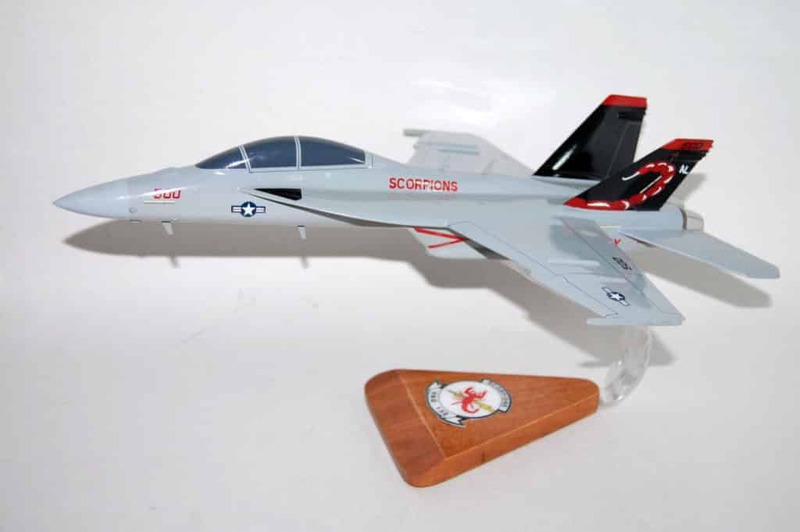 After Iraq invaded Kuwait, the Scorpions were on hand in the Red Sea, and so, on January 17, 1991, VAQ-132 was once again the first Prowler squadron to fight, this time in Operation DESERT STORM. 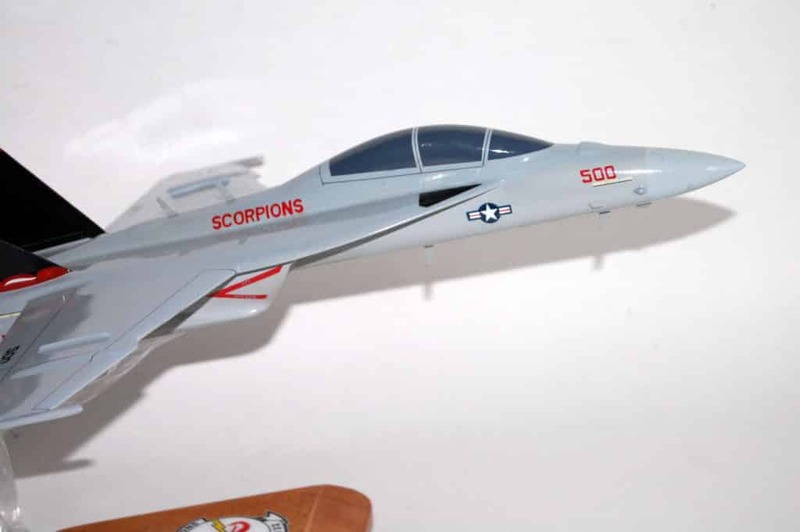 In February 1994, the Scorpions were once more first on the scene when shots were fired in support of NATO’s Operation DENY FLIGHT over Bosnia-Herzegovina. 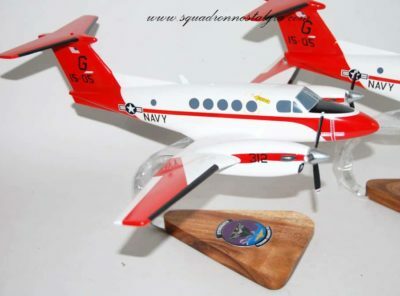 From 1996 to 2002, VAQ-132 participated in the following operations: Operations JOINT ENDEAVOR, DELIBERATE FORGE and JOINT GUARDIAN over Bosnia/Herzegovina and Operations SOUTHERN WATCH over Iraq. 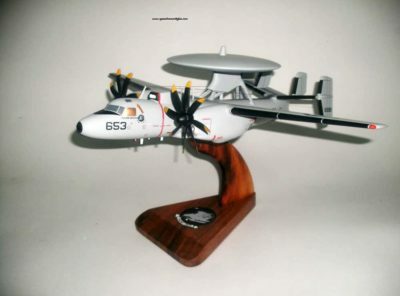 In 2002, the squadron conducted extended duration missions over Afghanistan in support of Operation ENDURING FREEDOM onboard the USS GEORGE WASHINGTON (CVN 73), and in 2004 and 2007, VAQ-132 deployed in support of Operation IRAQI FREEDOM. 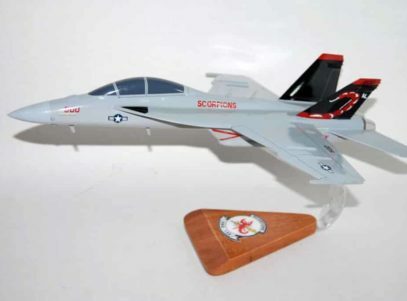 VAQ-132 completed the transition in September 2009 and along with changeover became an expeditionary squadron. 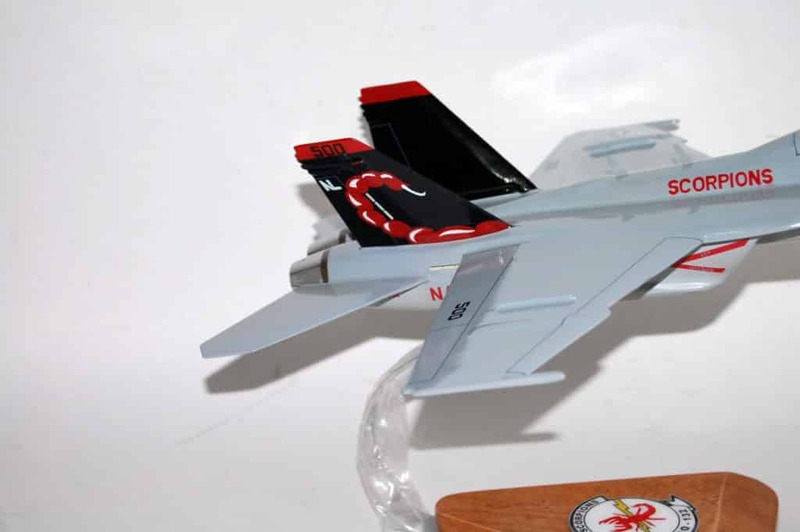 In 2010, VAQ-132 became the first squadron to deploy with the Growler, providing support to Operation NEW DAWN in Iraq, and became the first to employ the AGM-88 HARM in combat from the Growler while supporting Operations ODYSSEY DAWN and UNIFIED PROTECTOR over Libya. In 2012, VAQ-132 flew the first Growlers across the International Date Line enroute to Exercise FOAL EAGLE in the Republic of Korea; and the first Growlers in the Southern Hemisphere enroute to Exercise Growler ’12 at Royal Australian Air Force Base Amberley. The Scorps also conducted the first expeditionary Growler deployment to the Pacific, conducting exercises in six countries. In 2014 the Scorps conducted their second Pacific deployment to Misawa, Japan. During this deployment VAQ-132 participated in multiple Joint Force Exercises including aiding in the training of South Korean Air Forces and Navy. 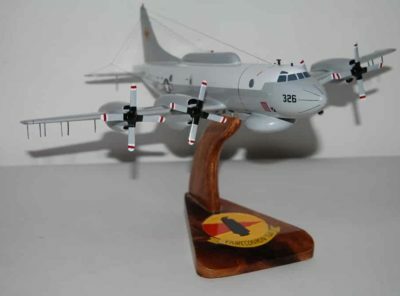 The Scorps were also the first to integrate with the VP community and the P-8 Poseidon during operations in the East China Sea. 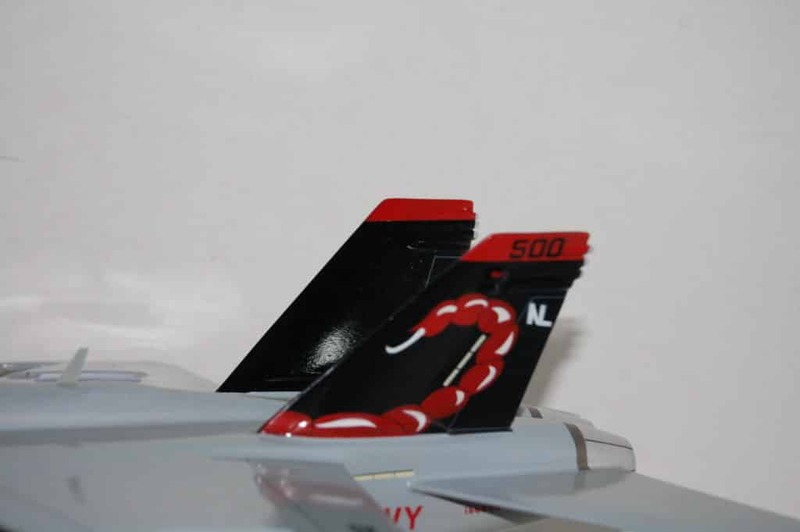 By the end of deployment the Scorps had conducted operations across three different countries and were awarded the Battle “E”, Medical “M”, and Retention Anchor. With the latter half of the year spent on a grueling work up cycle and under the new leadership of CDR Bob Holmes, the VAQ-132 Scorpions hit the ground running in August 2015 transitioning from Whidbey to Misawa Air Base, Japan for the beginning of their third Western Pacific deployment. In September, VAQ-132 executed a detachment to Andersen Air Force Base, Guam with five EA-18G aircraft in support of surface-search and maritime employment operations with Carrier Strike Group FIVE (CSG-5) and Carrier Air Wing FIVE onboard the USS RONALD REAGAN (CVN 76). The exercise focused on EA-18G integration and tactical employment during large force strikes in order to improve combat readiness for contingency operations. 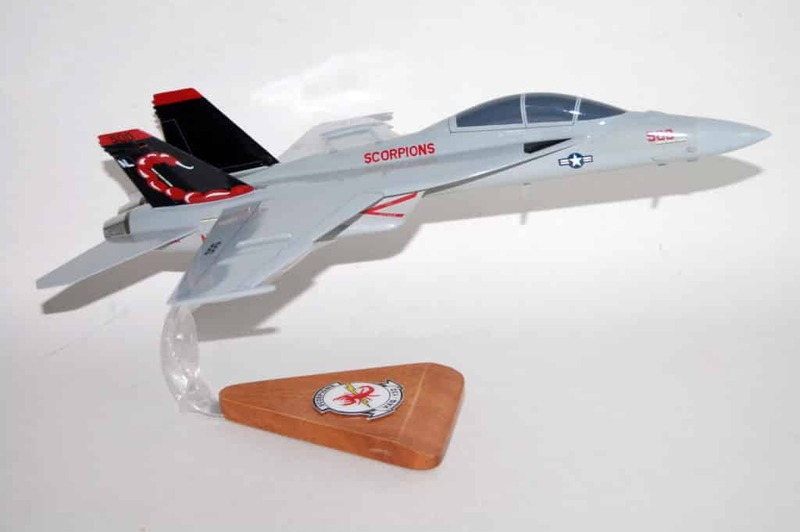 The Scorpions completed 128 flight hours and 49 sorties while developing new tactics, techniques and procedures to provide enhanced survivability and lethality to the Carrier Strike Group. After three weeks of Unit Level Training (ULT) back at Misawa AB, VAQ-132 launched into a follow-on detachment to Osan Air Base, Republic of Korea. The Scorpions continued to enhance theater operations by integrating with the USAF, USMC, Republic of Korea Air Force (ROKAF), Republic of Korea Navy (ROKN) and CSG-5 assets throughout the area of operations. This two part detachment included MCSOFEX, a coalition exercise with the ROKAF and ROKN, and VIGILANT ACE, a large-scale exercise designed to enhance operational and tactical level coordination through combined and joint combat training of U.S. and ROKAF forces. VAQ-132 successfully completed 63 sorties and 121 flight hours while participating in real-world contingency training at Osan. November and December saw the squadron conducting ULT and Growler Weapons and Tactics Program sorties at Misawa Air Base, Marine Corps Air Station Iwakuni and Naval Air Facility Atsugi. In Misawa, they worked with the 35th Fighter Wing and Japan Air Self-Defense Force and planned for their final detachment of deployment to Andersen Air Force Base, Guam. The Maintenance Department excelled on their mid-deployment material condition assessment. 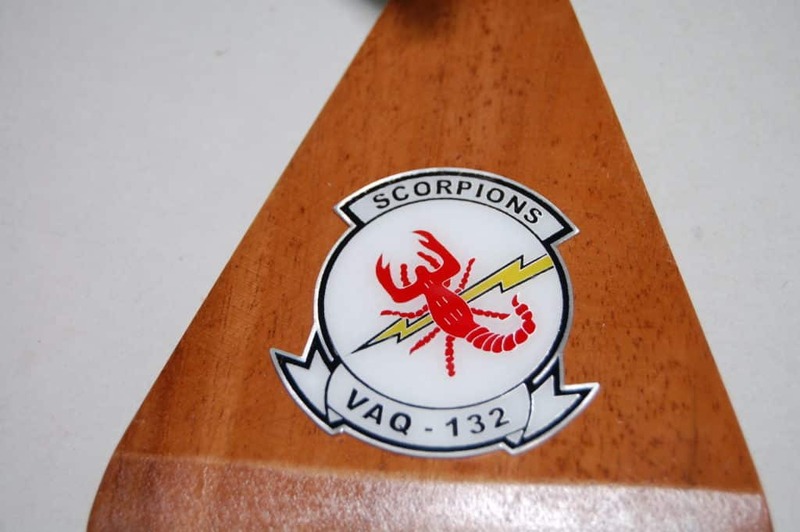 VAQ-132’s success during this PACOM deployment is attributed to the hard work of Scorpion Sailors, who completed five engine swaps and over sixty ALQ-99 Jamming Pod reconfigurations.